Usher has announced that he will be releasing a brand new album tonight at midnight. The project is simply being teased by the title A, and the R&B singer has shared an eight-song tracklisting, which you can see in its entirety down below. UPDATE (10/12, 9:15 a.m. EDT): Stream A now below. As you'll see, it features guest appearances by Future and Gunna. He also revealed a producer credit to Zaytoven in teasers posted to social media. 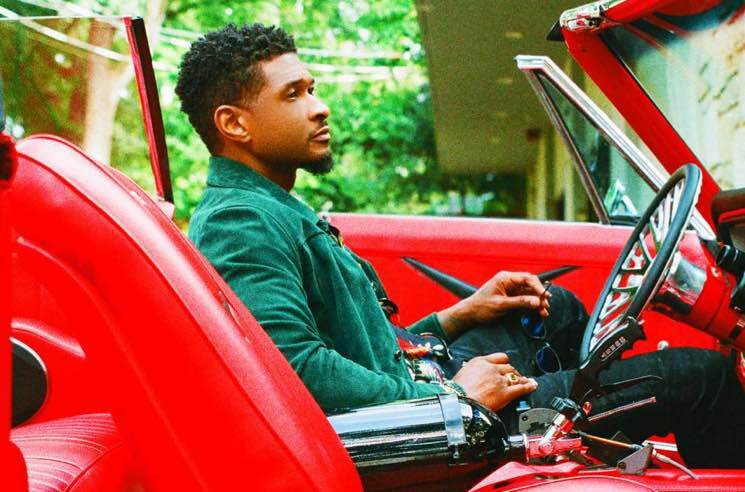 Usher has previewed the new tracks with a flurry of posts on Instagram, and you can hear the audio snippets below, as well. There's also a brief visual teaser for "Gift Shop." The full record should be available on streaming services at midnight tonight (October 12). Usher's last studio album arrived with Hard II Love in 2016.